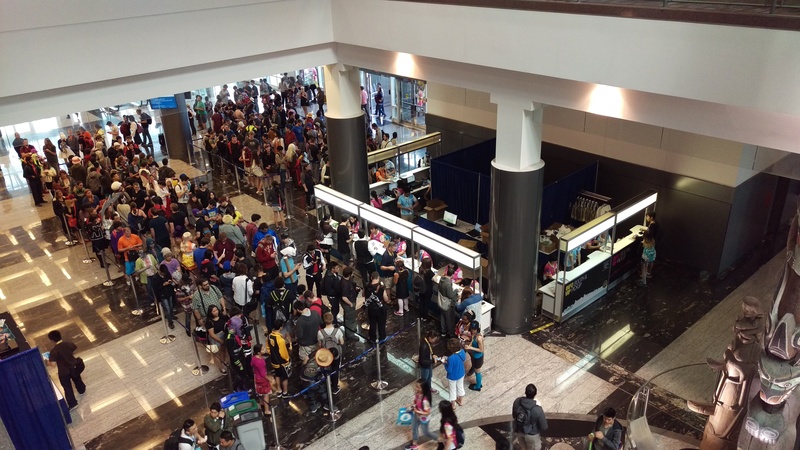 This would be my fifth year at AniRevo, since I’ve been every single year. I was looking forward to a better event this year with some of the kinks smoothed out from previous years. 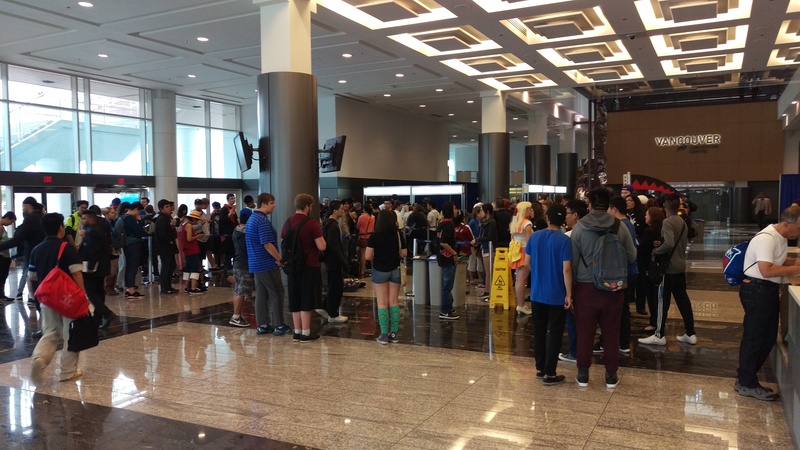 It got pretty busy starting at around 9AM in the morning as the opening ceremony was only an hour away. The convention center was starting to get more packed and the lines were getting longer and longer both inside the convention center and out. It was a little overcast on the day 1, but that is nothing new here in Vancouver, BC. However, it looked like the sun was about to peek out and give us a warmer atmosphere. 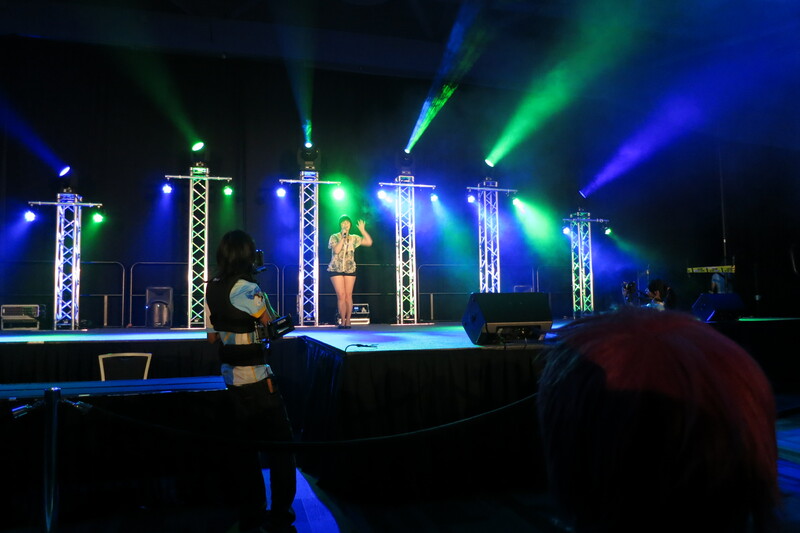 The first event of Anime Revolution 2016 was the opening ceremonies. It took a while to get people packed into the performance hall, but it was fairly efficient and it looks like the line was going well. 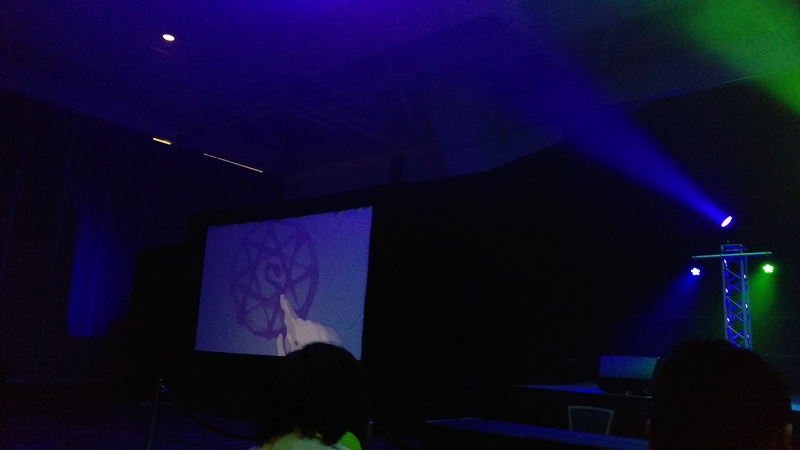 We were welcomed into a darkened room with two screens on either sides of the front stage playing some video accompanied by music while waiting. After some introductions and opening words from different AR staff, we were shown a few videos of one of the premier guests, livetune. They played both Tell Your World and Re:Dial which are Volcaloid videos. 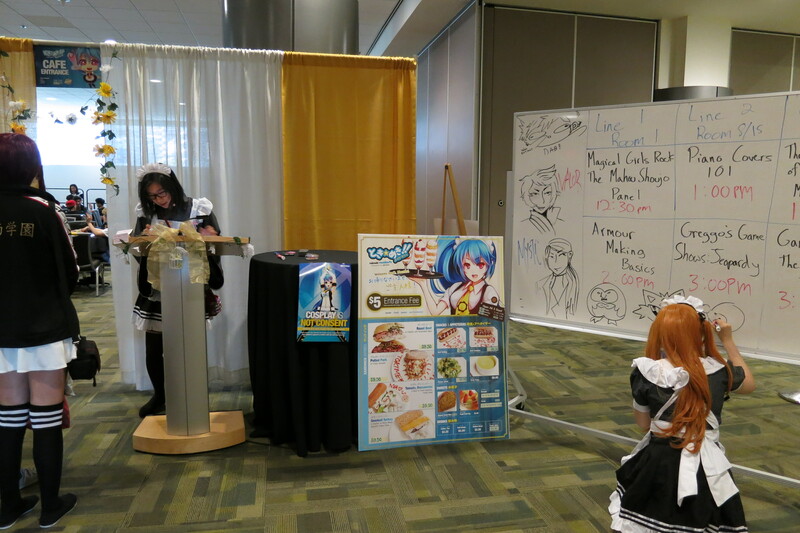 Following the videos, there was a live performance by the maid cafe group which happens to do one every year. It looked pretty well rehearsed and was quite good which would help attract members of the audience to the maid cafe later. 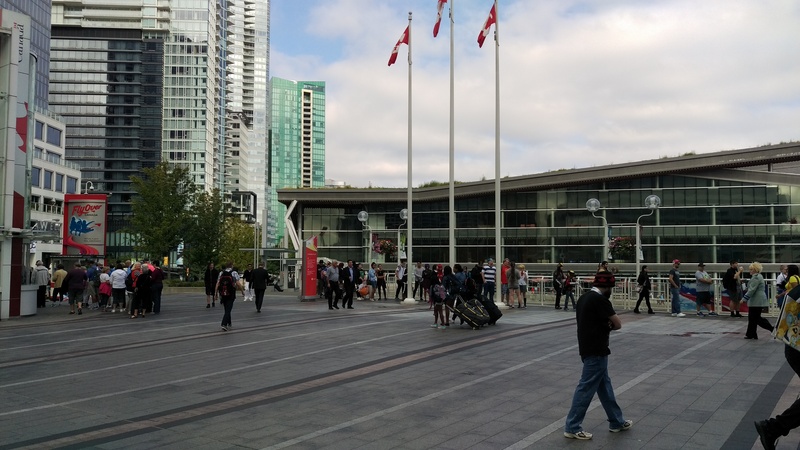 With the conclusion of the opening ceremonies, we funneled out into the main hallway of the Vancouver Convention Center – Canada Place which was already starting to get packed. This is probably the only real concern I have every year. However, I do realize that there is no real logistical way to fix it and a venue change is not feasible. 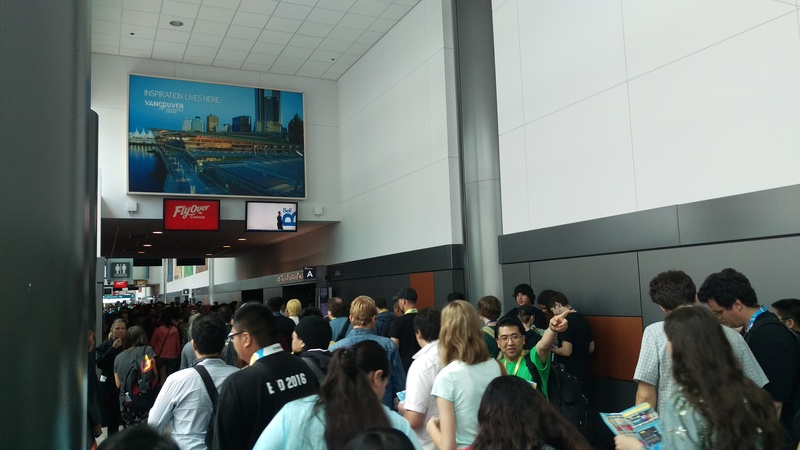 On the other hand, they were smarter in placement this year with the lines for events much further from this area so people don’t just hop into the line as they enter the different rooms. To my surprise, as I was wandering the halls, I ran into some coworkers. We chatted for a bit and headed into the dealer hall together. What was interesting was that one of my coworkers was in a suit, and I thought he was cosplaying. He ended up explaining to me that he had just headed to the convention after a job interview, thus the suit. It was pretty funny, but people asked who he was cosplaying as and if they could take photos. 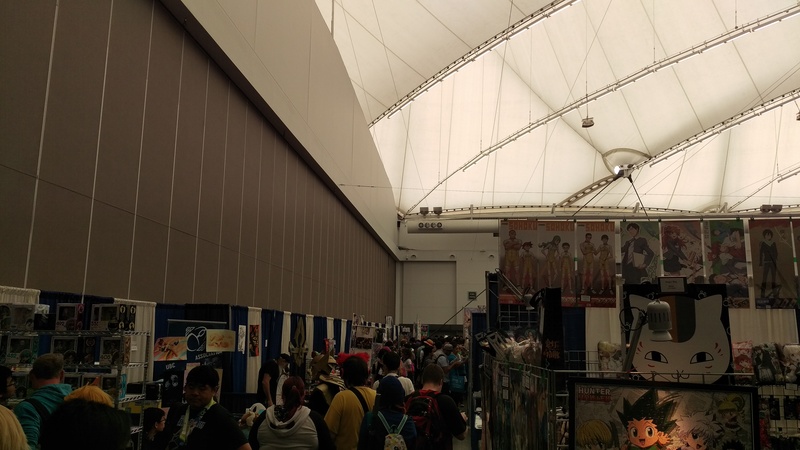 The dealers hall was quiet compared to the days to come as it was only day 1. This is actually the best time to grab things as there is still a ton of stock and also less people to maneuver around. I didn’t manage to find anything I wanted to grab, but we did walk around and browse the various stores and artists. 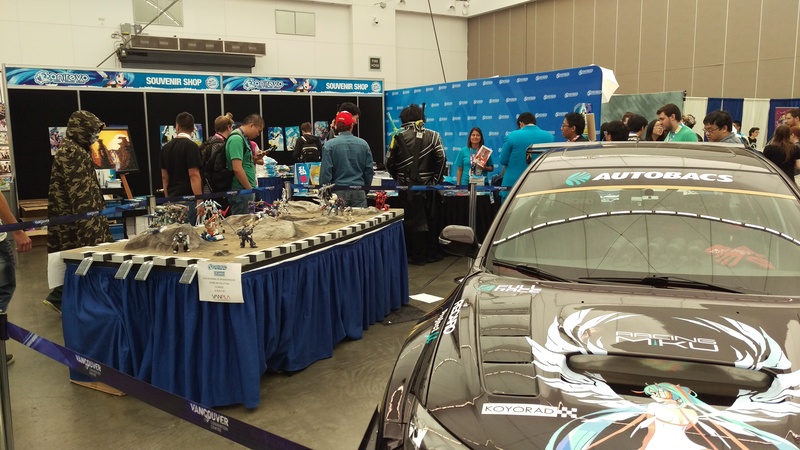 One of the most popular booths at the event is always the AniRevo booth as it has the Miku themed car and the Gunpla display. 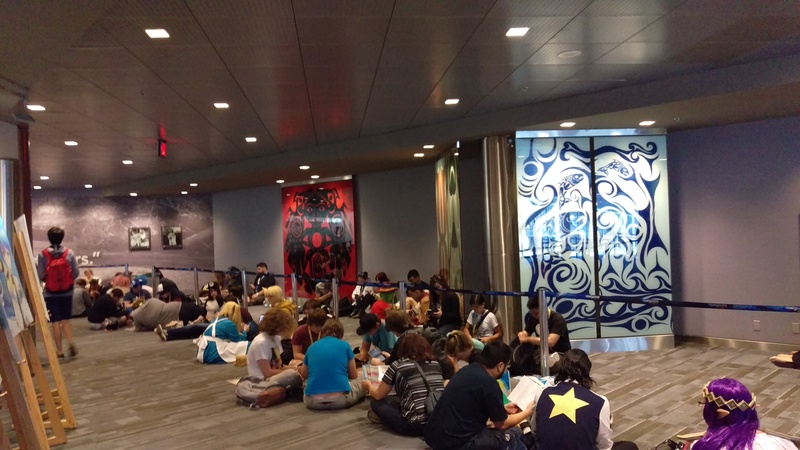 People were already set on buying goods ranging from things like apparel, lanyards, and even books. With a Love Live! Idol Festival with local groups coming in to perform, we headed down to the main performance hall and stayed for a few of the groups. We didn’t manage to stay too long since a few members of the group wanted to head out to other things. Since we were starting to get hungry, we took some time to decide where to eat. After some intense discussions from my coworkers, we headed up to the maid cafe. (We were given permission to take this photo btw.) The usual maid cafe stuff occurred with some odd moments to say the least. Let’s just leave it at that. It was an overall enjoyable experience and the food from Coal Harbour Cafe was decent as always. I cannot confirm or deny whether singing, dancing, or moe moe kyun happened. Having a little bit of free time to do some walkcon and to wander around, I made my way to the lineup area this year. They placed it in a little used hallway underneath the convention center and it helped reduce the volume of people in the main hallways. This was a wise move and allowed for better mobility throughout the con center. 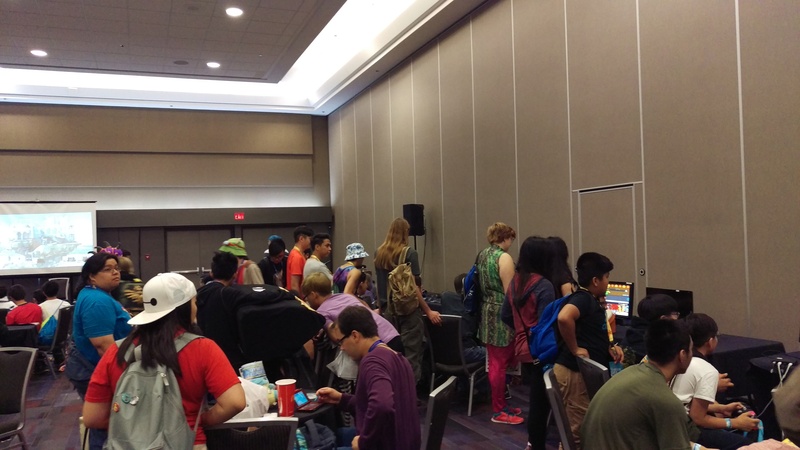 Next up, I walked over to the gaming room to see what was going on at the time. There were a few video games and card games going on including Weiss Schwarz and Magic. Normally, I would probably want to join one, but since I was running short on time and having few friends with me that played TCGs, we instead went over to the AR Walkoffs. If you have never been to the Walkoffs, let’s just say there is a lot going on. Basically two people compete against each other to get cheers from the audience and the winner moves on to the next round. 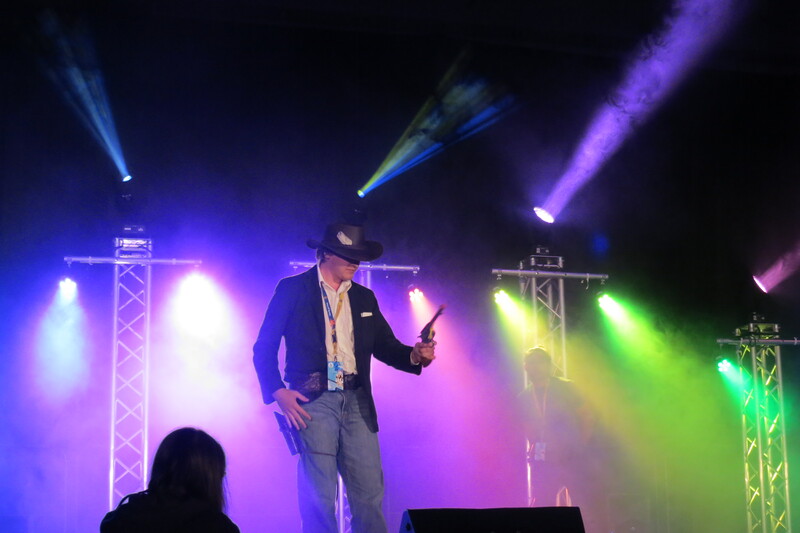 They also pick a random person in the crowd to join and this cowboy cosplayer went up and actually moved on to day 2. All I can say is that some of the music and the amount of clothing (or lack of clothing) was a bit cringeworthy at times. Looking past the Walkoffs, I spent a bit more time doing walkcon and went to browse the dealers hall again. 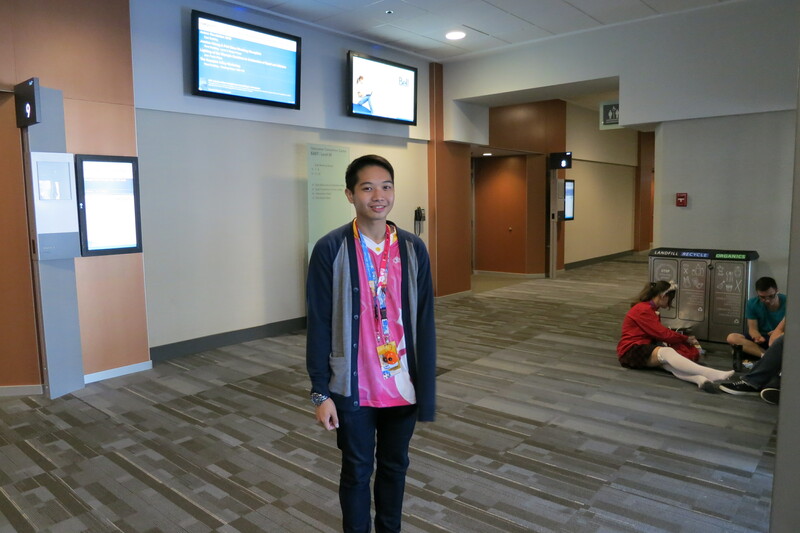 I also spent some time with one of my coworkers around the convention center and got to know each other a bit better. When we were on the upper floor of the convention center, I saw one of my friends, (We’ll call him Andre.) and we decided to grab dinner after he was done his shift. Since AR has mostly volunteers on board, he was in charge of different thing throughout the day and had other matters to attend to. We ended up grabbing dinner at Ebisu once his shift was over and I asked him a few things about AniRevo this year. It was an interesting discussion, but I managed to learn quite a bit from him. After dinner, we parted ways and mostly called it a day. The rest of AR on day 1 included the swimsuit contest and the rave. I took some time to go to both events, but decided to not take photos there. It was pretty similar to previous years and was enjoyable aside from the cringeworthy comments form the audience at times. The rave was pretty well attended and was fun all things considered. Looking forward to day 2, there was a lot more on the docket and even a few interviews with some of the name guests. 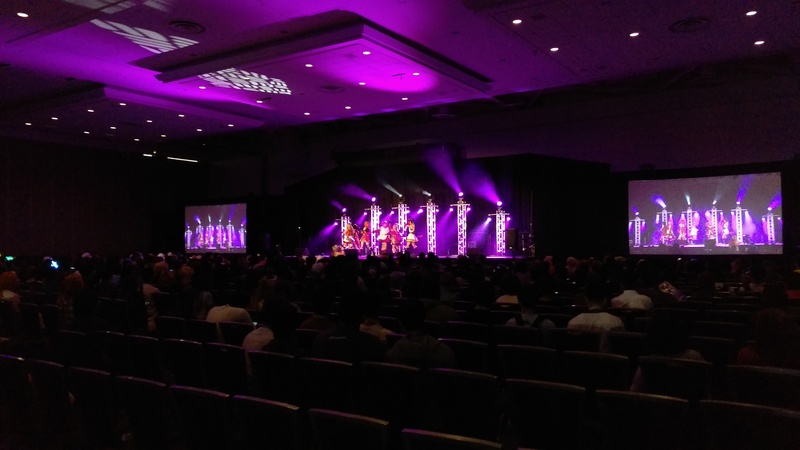 This entry was posted in Anime, Conventions, Food, Games, Visual Novels and tagged 2016, Anime Revolution, Anime Revolution 2016, AniRevo, BC, Canada, Conventions, Cosplay, Day 1, Downtown, livetune, TCG, Vancouver. Bookmark the permalink.